From the high end, very rare Goldie to the affordable Nicaragua Oscuro, La Palina has something to offer every cigar enthusiast. 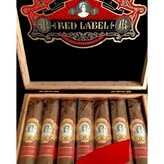 La Palina Red Label Toro falls right in the middle of this boutique brand. Available in a box of 20, you should leave some space in your humidor for the high quality and affordable La Palina Red Label Toro cigars. La Palina Red Label Toro is manufactured at the modern boutique factory PDR Cigars in Tamboril, Dominican Republic. 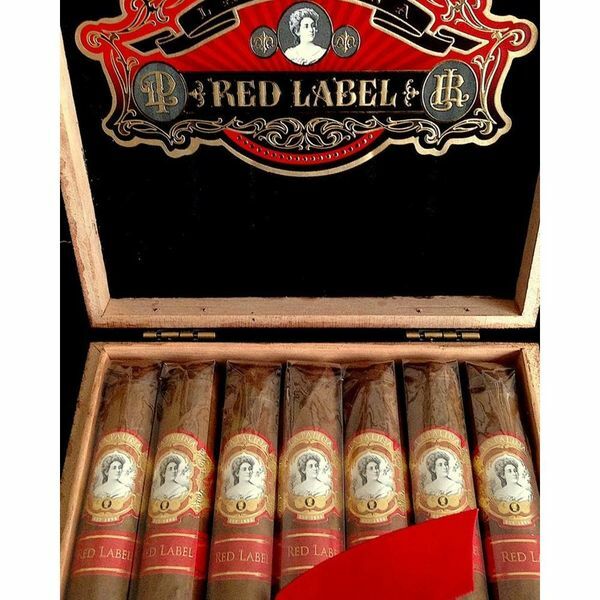 Red Label is sheathed in an Ecuadorian Habano wrapper with Ecuadorian binder and long leaf filler from Nicaragua and the Dominican Republic, resulting in a relatively mild smoke with complex flavors. The medium-bodied Red Label affords succulent flavors of wood, pepper and spice with substantial sweetness. A trip to the Dominican Republic wouldn’t be complete without experiencing their Caribbean culinary scene. Gourmet offerings are abounding in resorts, hotels and free standing restaurants all across the Dominican Republic. My last excursion to the DR found me at the Punta Cana Resort and Club. There I dined at the romantic La Yola restaurant designed by famed fashion designer Oscar de la Renta. The al fresco restaurant is set on stilts with glass floors on the marina and evokes the feeling of sitting in a yola, or small fishing boat. The Mediterranean and Caribbean-inspired dishes are as beautiful in appearance as they are scrumptious. I arrived at 5:00 pm for Happy Hour and started with a Mojito and ordered the Punta Cana ceviche consisting of marinated grouper in lime juice & olive oil with bell peppers and onions. The grouper and sweet and sour vegetables sparkled in a crystal martini glass. I moved over to my table with a palm-thatched roof above me and the serene Caribbean Sea below me. I started phase 2 of my dining experience with an appetizer of grilled octopus with calamari noodles, potatoes and a spicy aioli paired with a White French Burgundy. The tender octopus had the right kick of heat to prepare me for my next entrée. Feeling a little seafood overload, I went hog wild and ordered the roast suckling with pumpkin purée and roasted pineapple. Savory, sweet and juicy, the Caribbean flavors flowed like the sea underneath me. Now, time for a La Palina Red!